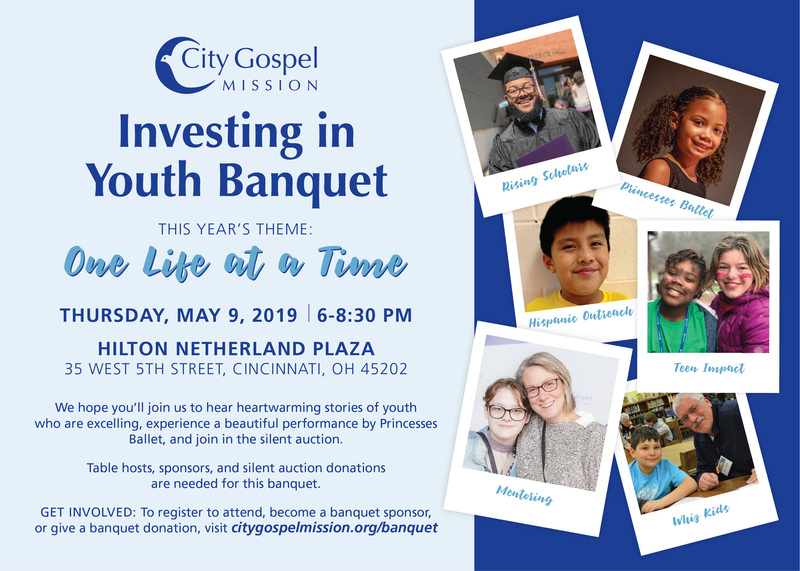 More than 350 guests will gathering to support and celebrate the life change that City Gospel Mission’s youth programs and volunteers have made in the last year. Our banquet highlights Whiz Kids tutoring and mentoring, Princesses Ballet and our many other youth programs. We hope you’ll join us to hear the youth’s stories, join in the silent auction and experience a heartwarming performance by Princesses Ballet.